My entry for Illustration Friday...better late that never! 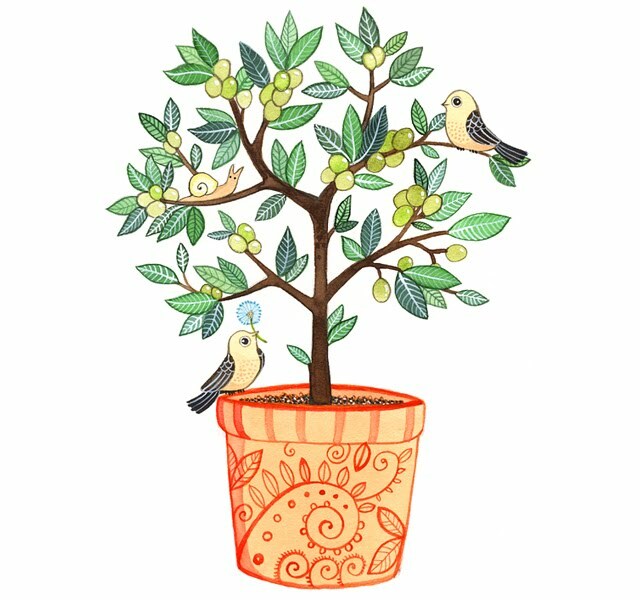 My grandmother had miniature lemon, orange and pomegranate trees. Beautiful, as always. I love that your work is meticulously executed, and still retains a beautiful relaxed quality about it. I love this! Of course, I love any illustration with birds in it...but this one is absolutely beautiful! Great work! Wow... This illo is wonderful. All your creations are really lovely. that is so pretty! very well done. love the colors. i wish i had a lemon tree. Such a magical tree! It's incredibly beautiful...You always amaze me with your artworks!